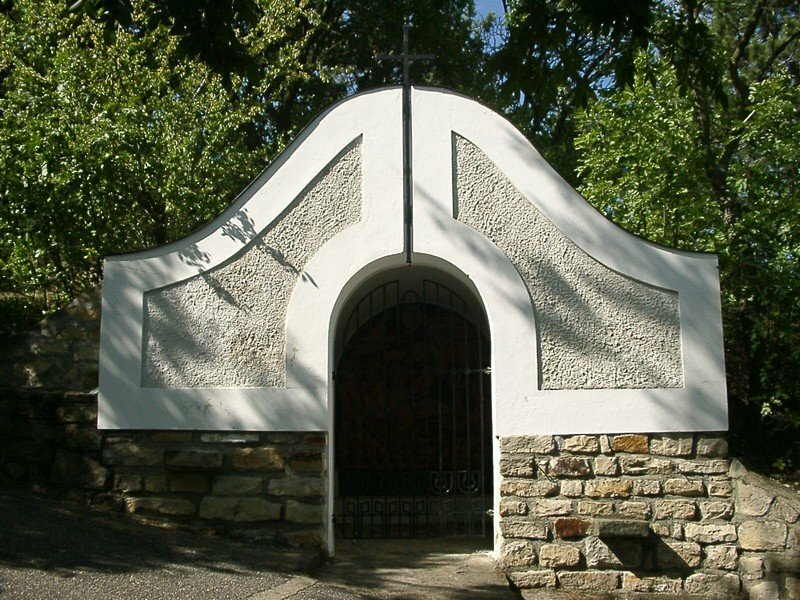 People of Vonyarcvashegy had been burying their dead in the cemetery at the side of St Michael Hill until the middle of the last century. Beside the cemetery there stood a morgue, too. During the course of time, the cemetery has become abandoned and the morgue a ruin. 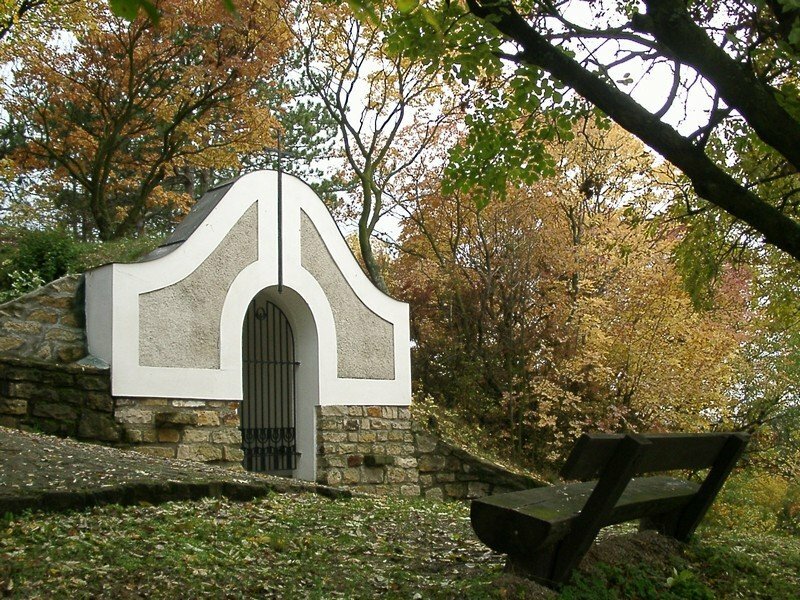 In the mid-nineties of the last century, the Municipality of Vonyarcvashegy decided to involve the long abandoned St Michael Hill in among the tourist attractions of the village. 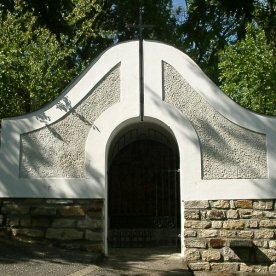 They renewed St Michael’s Chapel, constructed a macadam road at the hillside to help access, and the morgue was reconstructed according to plans of master architect Károly Szerdahelyi. 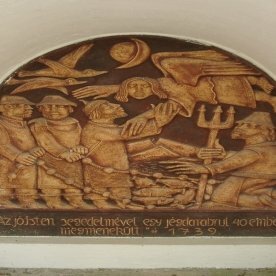 As a fishermen’s legend is there to accompany the construction of the chapel, a ceramic embossment depicting the legend ,made by Munkácsy Award winner artist János Németh, has been placed in the renewed morgue. 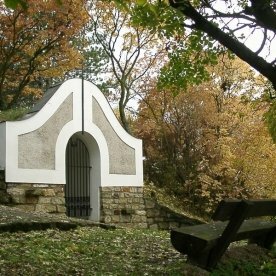 Upon finishing the reconstruction, the Municipality decided to kick off tourism at the Hill, thus, upon an initiative by the local Cultural House and Library, organized by the same institution, started a series of events titled „40 Fishermen Memorial Day and Day of Balaton Fishermen” in 1994. Held on the first days of August, the events involves professional fishermen from all around Lake Balaton. This series of events generated the idea to give the name „40 Fishermen Memorial Site” to the old morgue. 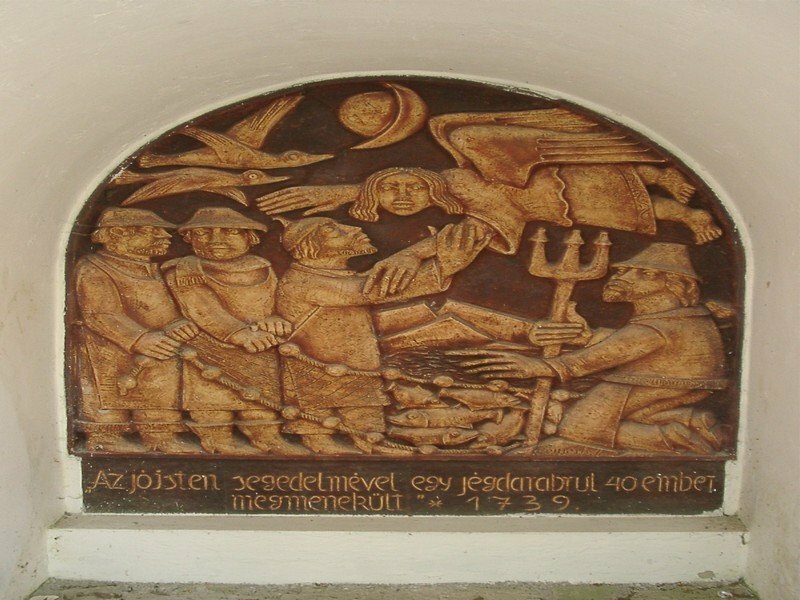 The wreath of good memory is laid at the site every year to commemorate past time fishermen of Lake Balaton.